This meticulously maintained 2005 home is perched atop a scenic lot that features great curb appeal. The extensive landscaping was created to reduce weekly maintenance. The backyard features a large dog park area, outdoor patio, deck and screened porch. HVAC replaced in 2017. 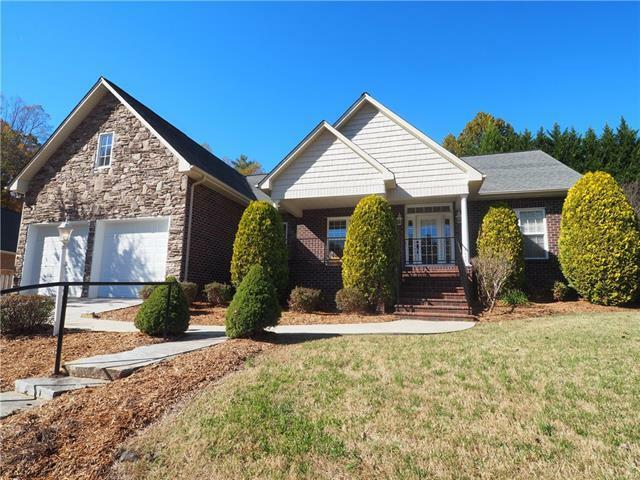 The interior of this beautiful home is move-in ready and features elegant hardwood flooring. Amazing built ins located in dining room and living room. Master bathroom provides a soothing oasis with the addition of a top of the line walk in spa tub. The full basement definitely gives the homeowner room for storage or to expand the living area.This home is conveniently located to sports, shopping, restaurants and extensive walking trails.